Our company has established itself as a leading distributor and supplier of superior quality Becker Oil lubricated Vacuum Pumps U4.250 SA/KOr F/K in the market at present. Pumps are constructed of strong die cast aluminium and stainless steel body parts and are fitted with stainless steel hardened impellers and field adjustable nitrile rubber diffuser. 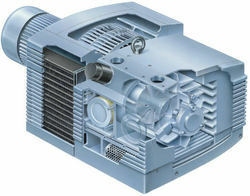 The both upper and lower mechanical seals are wholly enclosed in oil chamber. These tough pumps do not have to be totally submerged and will operate under snore conditions if necessary. These are made available under industry leading rates. Our company has established itself as a leading distributor, exporter and supplier of superior quality Becker Oil Lubricated Vacuum Pumps U4.70 Sa/k Or F/k in the market at the present scenario. These are made available to the customers at industry leading rates and are provided as per the set industry norms and protocols as well. It involves injecting a grout material into generally isolated pore or void space of which neither the configuration nor volume are known, and is often referred to simply as grouting. These pumps are professionally used in grouting. A broad range of application has been found of grouting pumps. In the field of supplying and distributing, our company offers supreme quality Becker Oil Lubricated Vacuum Pumps U4.100 SA/K. These are deal for close coupled pumps, and brings all concepts and benefits from the new motors platform allied to the highest efficiency levels currently available. 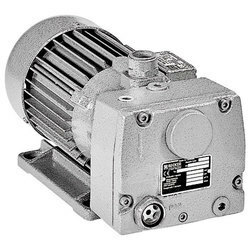 Specially developed line for industrial and commercial pumping applications, it’s totally enclosed frames permit these motors to operate in moist or dusty atmospheres. These pumps are designed for a variety of applications such as water pumping, transfer and circulating pumps and several others as well. 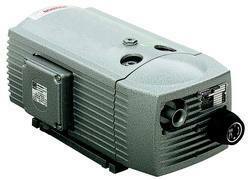 Looking for Becker Oil Lubricated Vaccum Pump ?